Latch (Leeds Action To Create Homes Ltd) was established in 1989 and brings empty and run down homes back into use. It refurbishes the houses with unemployed volunteers, helping them to gain skills, confidence and work experience. When the homes are fully modernised, they provide supported housing for people who are homeless or in housing need. Latch currently manages or owns 64 properties in the Chapeltown, Burley and Harehills areas of Leeds. It has thirteen members of staff and a turnover of around £500k. Latch started out renovating disused properties obtained at low cost or on loan from their owners (such as the city council and friendly housing associations). Currently, 29 properties are owned by Latch and the remaining 35 are leased from partner organisations. 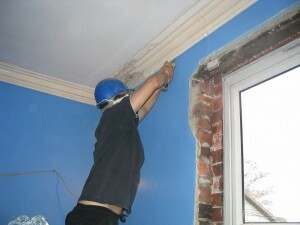 The staff team has a wide range of construction related skills and experience of working with volunteers and trainees. Contractors are used when required e.g. for gas and electrical works. Latch has developed expertise in super-insulating its homes, fitting high spec underfloor, wall and loft insulation, along with airtightness measures, to make its old Victorian housing warm and substantially reduce fuel bills. Latch houses single people and families who are homeless or in housing need, and need support to enable them to set up and sustain their tenancies e.g. women fleeing domestic violence, ex-offenders, people with mental health, drug or alcohol problems. Supported Housing: Supporting tenants to move in to their homes and to have successful tenancies. Property Management: maintaining Latch housing, ensuring they are well looked after and meet all relevant standards. Housing Development: refurbishing newly acquired properties whilst providing employment, training and volunteering opportunities. Over the years, Latch has been successful in securing grants from a variety of sources, to support property renovation and development work. 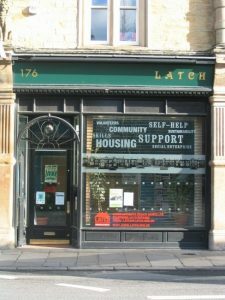 From 2012-15 Latch secured grants of £979k through the DCLG Empty Homes Community Grants Programme to purchase and refurbish 15 empty properties, housing 39 adults and children. The Ecology Building Society provided loan finance to supplement this grant funding. “The funding has had made a substantial contribution to the sustainability of LATCH. The 15 properties we have purchased have increased the value of assets held by over 100% to £2.1 million and increased revenue by 30%. Most importantly this has enabled LATCH to continue to improve service quality and provide services to more people”. Since the end of the EHCGP, Latch has been working closely with Leeds CC to develop a programme to acquire and refurbish 16 more properties. Leases on 13 properties already managed by Latch and in the ownership of Leeds CC have been extended to 99 years, making it possible to raise funding against them and grant funding is being made available from Leeds CC through the Right To Buy Receipts Grants Programme which the local authority is running.